June 12th, 2016 (9:19 PM). Edited June 27th, 2016 by Enigma. Hey everyone! I haven't been around in a while, but those of you that have been around the Challenges forum for a long time probably know me as my previous username, InfernoRogue. Life had me super busy for a long time, but I'd love to return to challenges! Anyway, here's my challenges list! I'll keep this very meticulously updated, and will enjoy being back in business, so to speak. All solos of 151 original Pokemon in RBY. Find out more about my 151 RBY solos here! June 17th, 2016 (7:32 PM). June 20th, 2016 (9:57 AM). Edited August 25th, 2017 by Halfcadence. June 24th, 2016 (8:47 AM). Edited March 3rd, 2019 by TheCrystalFlaaffy. July 6th, 2016 (4:10 PM). Edited July 6th, 2016 by Caaethil.
? 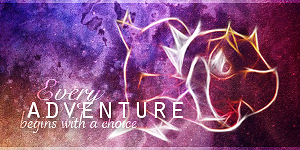 | HeartGold | ? | ? | ? | ? Click here to feed my PokéFarm Q Pokémon! July 28th, 2016 (7:20 AM). Edited August 12th, 2016 by Drackos_Flare. July 28th, 2016 (11:45 AM). July 29th, 2016 (9:23 PM). Edited August 13th, 2016 by SonicZ16. Click on the type icons (For Monotype) or Pokemon image to see my final update for that run! August 28th, 2016 (2:47 PM). Edited February 9th, 2018 by XxHarryxX. I'll get a page for myself going now, might make it fancier later. January 11th, 2017 (12:04 AM). Edited January 20th, 2017 by Waffless. Reserving this spot so I can edit whenever I need to. A regular run of Yellow on 3DS. I believe in Jesus Christ, my Savior. If you do too, and aren't scared to admit it, then copy and paste this in your signature. September 15th, 2017 (3:06 PM). September 20th, 2017 (11:06 PM). November 7th, 2017 (3:32 PM). Edited November 17th, 2017 by UkiTheMaid. March 9th, 2018 (8:19 AM). Edited March 9th, 2018 by nayrzeta. March 18th, 2018 (2:17 PM). Edited September 12th, 2018 by James and Eevee. March 22nd, 2018 (9:41 PM). May 12th, 2018 (11:42 PM). Edited September 4th, 2018 by Suon. A summary of all my completed single challenges. These runs are not part of a bigger challenge, and only needed one run through a game to be completed. Clicking on the links provided will bring you to the final update of this challenge. A summary of all my completed runs on multirun challenges. These are part of a bigger challenge, which need multiple runs through one or more games. Clicking on the links provided will bring you to the final update of this challenge. A summary of all my incomplete single challenges. These runs are not part of a bigger challenge, and only need one run through a game to be completed. You work for Devon Corp as one of the researcher and one of the leading experts on history. With the raising thread of Team Magma and Aqua, you decided to travel the region and collect some data on Groudon and Kyogre. And you could also save the world... but no pressure. This Pokémon is your science partner. This Pokémon must always have higher level that your other Pokémon. Sometimes, you just don't feel like working. This Pokémon represents that. Given it's ability, this Pokémon has no other restriction. The history, set in stone. That's this Pokémon. It must have any combination of Psychic, Ground, Rock, Ghost and/or Normal-Type attacks. Science Guy: Get every TM you can get. You have to teach a move via TM or HM to your Pokémon after each Gym Battle. History is coming to life: Each of your Pokémon have to know at least 2 moves introduced in previous Gens. Traveller from far away(Optional): Trade in one of your Pokémon from different game. A summary of all my incomplete runs on multirun challenges. These are part of a bigger challenge, which need multiple runs through one or more games. July 23rd, 2018 (9:11 PM). Edited July 30th, 2018 by Pluckles. August 19th, 2018 (12:21 PM). will be updated as i complete more challenges. August 21st, 2018 (3:59 PM). November 16th, 2018 (11:14 AM).